The classic bestseller – now with a nastier new look! No more boring nice-guy nonsense about history. It’s time to learn it the horrible way. Do you know anyone called Norman? Our tip: never make them cross! The Normans were so tough that they bashed up the savage Saxons and shot an arrow through King Harold’s eye. (Remember 1066? Yuck!) 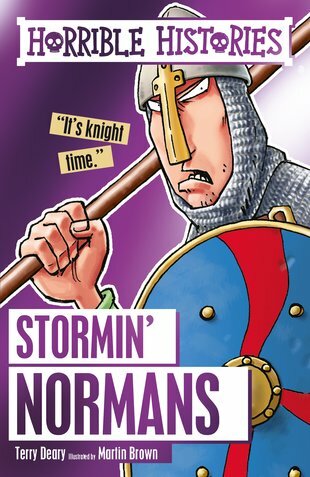 But although they defended their battleships with fearsome barrels of pee, those storming Normans had a soft side too. For example, did you know Norman knights slept with a dolly? Cute. Or maybe not.